A global logistics specialist is looking to the future after the installation of another environmentally friendly Azane cooling solution. The customer required a new refrigeration plant as part of an extension to an existing warehouse. The warehouse handles food and drink logistics for a leading supermarket chain. The customer was looking for a robust and reliable refrigeration plant which would provide the lowest total life cycle cost. The solution was a high efficiency refrigeration plant incorporating two Azanechillers. The compact ammonia packaged chillers supply cooling to the new multi temperature warehouse, with a 56,000 sq ft chamber for chilled goods and a 45,000 sq ft produce chamber for fresh fruit and vegetables. The existing refrigeration plant did not have sufficient spare capacity and an extension to the existing machine room was an expensive option. With project on a tight schedule, the factory packaged Azanechiller was the natural choice to ensure a quick and easy installation. The system features two air-cooled Azanechillers with ammonia as primary and glycol as secondary refrigerant. Each unit has a cooling capacity of 114TR and features a low ammonia charge of less than 2lb/TR. The Azanechillers are located externally, mounted on concrete plinths adjacent to the existing machine room. As an environmentally conscious natural refrigerant with zero global warming and ozone depletion potential, ammonia overcomes concerns over the future availability of HFCs. Waste heat from the Azanechillers is recovered for defrosting the air units in the new and existing refrigeration plant. Azanechiller is a complete refrigeration package, ideally suited to temperature controlled storage as well as food processing, building services and process cooling. Only an electrical supply and flow/return pipework is required to provide cooling. This reduces site installation and start-up time, whilst also avoiding the need for a plant room. Suitable for cooling both water and glycol, Azanechiller was developed for environmentally conscious end users. Azanechiller typically offers a 20% increase in performance compared with standard HFC chillers. Its packaged design and careful component selection result in a very low refrigerant charge, with all ammonia contained within the chiller and sited outside the warehouse or production facility. Azanechiller features high quality, industrial components to offer unrivalled performance, reliability and low maintenance. Each unit includes two screw compressors, low noise drive motors and Azane’s own design of low charge suction separator. A customisable PLC control system ensures optimum performance, with HMI touch screen interface and optional internet connection for remote monitoring. Azanechiller is available as an air-cooled or water-cooled unit with cooling capacity from 60TR to 210TR. Air-cooled Azanechillers feature high efficiency EC condenser fan technology. Water-cooled Azanechillers include a welded plate heat exchanger condenser to minimise refrigerant charge. Both include floating header pressure control, which optimises efficiency at part load conditions and low ambient temperatures. 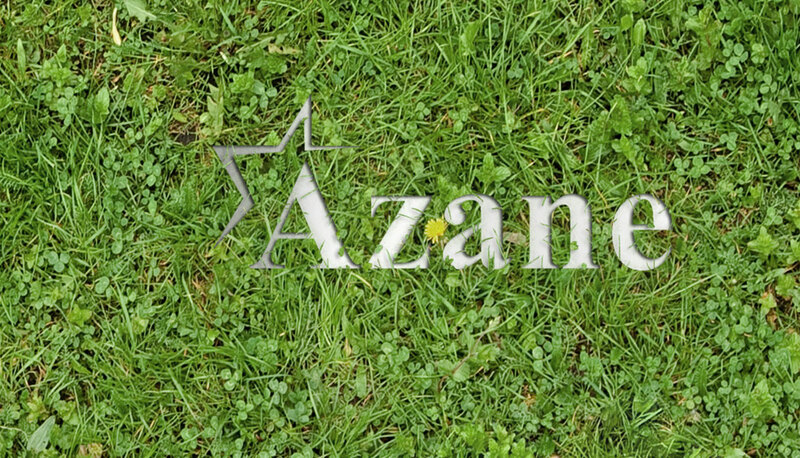 For more information, contact Azane on 312 342 3042, email info@azane-inc.com or visit www.azane-inc.com.